higgs-boson wrote: Maybe another lookout which can be seen from below, so a signal fire would be seen, at least at night? I'm not sure about a signal fire - to be effective the recipient has to know what the signal is. That is, there needs to be some sort of pre-arranged code (one if by land...) or alphabet (dit dah dit) and there's no evidence for any of that. Absent that, all you have is a fire, far on the horizon. But the forty will be drawn to the fire like moths to a boulder. lmjb1964, yes, it's a nice metajoke. Hmmmm. Do we have any metamolpys in the OTC or OTT? Hi all! I've followed the OTC since I learned the frame was changing and I found the wonderful Book of Aubron to keep me up to date. I came to the OTT later, becoming a sporadic lurker, reading more with the puzzle of Rosetta's speeches, and even more so since the Voldeframe. This community is freaking amazing! I am in awe of the devotion and the creativity. I love love love OTColored, and that people have recorded some of the marvelous songs. 1) I don't know what I'm doing. 2) I'm in wip 2 of a really bad cold. 3) That first line is really tricky to sing. You try it! 4) I realized afterwards I should have done the instrumental and vocal tracks separate, but I decided if I went back to fix it I would never finish it. 5) Did I mention I don't know what I'm doing? 6) I'm pretty sure a couple of planets were out of alignment while I was recording. Edited to hopefully put in a link you can actually open! Last edited by lmjb1964 on Thu Aug 01, 2013 10:40 pm UTC, edited 1 time in total. I'm ringing in as a blitzer from page 95. I started yesterday. Currently, people have just gotten snippy with each other over the lake of coffee theory, which is now going to give me nightmares about the real life consequences of trying to swim in ooblek. The figures are swimming off-screen. I am apparently hitting a blocked word (no links) so I will try to post the next paragraph separately and see if this goes through. Frustrating, as it was a sensible two paragraph post, but let's just see. No promises on actually finishing the OTT, as that would require, at my current rate, 15 days of unproductivity at a job I'd rather not lose. But on the other hand, I've reread Homestuck six times, so I have a better shot than most. I'll check page 1320 to see if there are any replies to this... I haven't seen anything on Blitzing etiquette. How often should I be sending reports to the front lines, or are you all comic 606 at this point and tired of reread updates? ... Huh. Comic 606 refers to early 2013. Still not really tired of humming that song, so I think that's a recommendation for the delayed model of media consumption. Edit: Hahahahah, and despite having read HOW many early-thread posts on the subject, I just tried to link to 606. Good job, me. Edit 2: no, it's still being "flagged as spam and has been denied." Removing all pound signs? Nope. I can't find a how-to list, and can't imagine what red flags I'm raising at this point. Trying copying and pasting into a brand new attempt. Edit 3: found explanation that suggested I may be triggering some secret stopword. Breaking it into pieces has let the first paragraph through. I am keeping this record of my experiments. Edit 4: second paragraph got through. If third follows, then only remaining conclusion is adding "edit" notes broke it just as I removed the offending link. At least I know Homestuck isn't a stopword. Edit 5: Isolated the problem to the third paragraph. Is the problem a preceding ellipsis or the mention of v-i-d-e-o g-a-m-i-n-g? Edit 6: It's not the ellipsis. Removing one word at a time until this works. Gosh, I didn't expect my first post to be so exciting. Edit 7: And it turns out 5 was the answer. Sigh. Posting my notes at this point because that was almost a newpix of sheer aggravation that was not link based. haha, I guess I really didn't want anyone to hear it! OK, thanks, I'll see if I can un-private it. Last edited by lmjb1964 on Thu Aug 01, 2013 10:42 pm UTC, edited 2 times in total. I can't get to your dropbox, but the lyrics are wowterful. I hadn't read the OTT today, looks like I should introduce myself. I am Tiago, the author of the Beanish language blog (I confirmed it in the new "Info" page, and those who searched were right, I am "tresoldi" on wikipedia too). I am not a professional linguist, but have studied historical linguistics (my "true" fields are natural language processing and especially literature, my "truest" field). I never intended to be a mysterious blogger, I just fired up Wordpress and started writing some ideas that were in my idea since when I saw the frame when the Beanies show up -- I actually wasn't even registered in this forum until some minutes ago. Meep! So very wowterful and lovely! Your singing's not bad at all, especially if you've got a cold! Steakish! lmjb1964 I too have issues—such as not being able to play MP4 files. but the lyrics look 11good3! charlie_grumbles wrote: But I'll make the bold claim that Atoms don't "exist". Neither do quarks and muons and all the rest. What meaning of the word "exist" do you have in mind, that would have atoms not exist, and that would have the set of things that exist not be null (and thus make the word "exist" essentially (and existentially?)useless)? Hmmm. Perhaps I would have been more clear had I said Atoms don't "exist" as such. I didn't mean to imply that I think nothing exists. Something is "causing" (lots of philosophy behind that, actually) the phenomena to occur. It might be "like" atoms or some combination of forces or ??? We don't really know. All we can do is observe and make hypotheses about the "reality," which is only imperfectly knowable. The models created by physics and math help us do that, but it is also useful not to confuse the reality with the model. That leads you to a "clockwork" universe of some sort. Note: Causality is another place to get tripped up, of course. We observe that phenomena have a certain structure, part of which is regular. But is that cause and effect? Maybe, or not. It is also significant that we began by analysis of things we could easily measure and manipulate, such as velocity and acceleration (Newtonian Physics), while more recently (20th Century) we developed probabilistic outcomes (quantum dynamics in various incarnations)--once we had probability theory and statistics well enough developed to apply. I wonder what sort of phenemonen we can explore and model using fractal math or even more chaotic systems. No, no, let's not bring up the legos thing again. Let's talk about rices this time. Because with that, EVERYBODY uses the word wrong. As for deity, it’s two adjacent syllables, not a dipthong, which situation has its own rules. And Legos—what about the large number that are not bricks, but triangles, or poles, or columns, or whatevers? It is interesting that we have “proper names” for Sun/Moon/Earth in English—but they are just the nouns for those things in Latin (Sol/Luna/Terra). Oh, and about the axes: y’all are thinking in terms of orthogonal axes. What about alternative systems, such as spherical, or cylindrical coordinate systems? What about Homogenous coordinate systems, which have an “extra” coordinate? What about the assorted “folded” 11 dimensional systems postulated for certain string theories in physics? Last edited by bmonk on Thu Aug 01, 2013 11:01 pm UTC, edited 1 time in total. Thanks for the cake! I guess "not bad at all" is a good thing, right? lmjb1964 wrote: charlie_grumbles, I am loving your new scenes with the taco shack, etc. But did you mean desert, or dessert? Come back lmjb1964. Wow, that is beautiful and beautifully sung. Yes, the link works now. lmjb1964 wrote: haha, I guess I really didn't want anyone to hear it! OK, thanks, I'll see if I can un-private it. Laura Mae June Bug! I teared up. Then I was laughing. Then crying again. Last edited by ggh on Thu Aug 01, 2013 10:58 pm UTC, edited 1 time in total. lmjb1964 wrote: I guess "not bad at all" is a good thing, right? bmonk wrote: lmjb1964 I too have issues—such as not being able to play MP4 files. but the lyrics look 11good3! Thanks, bmonk. I'm sure there's a way to make it into an mp3 file. I'll see if I can figure that out. I got a little twitchy reading the rest of your post--you brought up some hot-button topics there. Then your last paragraph broke my brain. Normally I don't quote entire posts, but this one is awesome. It brought tears to my eyes to hear you sing that. You are like unto a baobab. There aren't even words for this; probably not even in Beanish. Rhomboidal wrote: I have no patience for entropy. Strangely prophetic. And then again, not. Hope all's well in the future! lmjb1964 wrote: I'm sure there's a way to make it into an mp3 file. I'll see if I can figure that out. Hi, I just wanted to say that I'm leaving. No, I mean, I'm going on vacation since Saturday and I'll be there for two weeks. I'm actually going to France and I'll be approximately 200 km north of ITD'If. But no, no chance to go there. I was actually in Marseille once but I must say that from all the neat French cities I have seen in my life this would be somewhere at the bottom of the leaderboard. Also my computer died today (I was planning to buy a new one anyway), so I'll be not here even tomorrow, probably. So long, and thanks for all the fish! I hope the OTT will not be dead when I get back! I would like to reiterate my deepest sincere apologies for instigating that mess. lmjb, that was amazing! 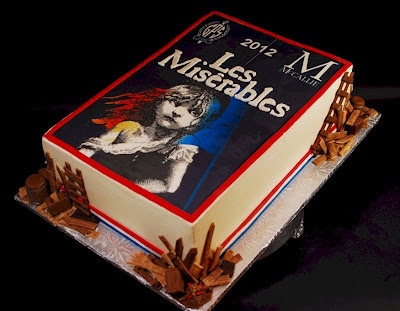 I bet your production of Les Miz is amazing too! Sorry about the blown minds--and as for the others, it's just my 2¢. My opinion, not binding on others. I've been reading that series too--and it requires the occasional attitudinal adjustment to distinguish between the Church as portrayed there and the Church it was modeled upon. Just heard this song for the first time in years and this OTTification pretty much wrote itself - hope you recognise and like it! OMR, the great BlitzGirl herself has created a picture based on my OTTification! I'm honoured! You seem to have figured it out for yourself, but my translation wasn't entirely correct. "Herren Randall" means "The Lord Randall" (definite articles are postfixed in Norwegian1814) so it is quite correct to add "great". "Den store Herre Randall"1905 was simply too long to be singable, but I didn't want to commit heresy by omitting "great". Ray Kremer wrote: Math in and of itself is an abstraction. It doesn't necessarily mean a whole lot until you apply it to physics, or chemistry, or statistics, or what have you. Your first statement is unquestionably true. However, the second would not be recognized by most mathematicians. There is a sub-field (applied math) for which this is true, but for most of us, math makes sense entirely on its own. I was surprised when told (several years later) that someone found a use for my thesis results. Early math and some current math was inspired by physical phenomena, but we have abstracted that away entirely. A theorem in math is (known to be) true if it can be proved from the axioms chosen at the beginning. QED. End of story. Otherwise it may be false, unknown, or even undeterminable (deep stuff there). Physics, on the other hand, depends on verifiable and repeatable observations of the real world. A theory in physics is "accepted" if it conforms with observation and it leads to predictions of the real world that turn out to be verified in the observations. (Note that I didn't say "turns out to be true". It is more subtle than that.) Physical theories are never perfect. Newton's law of gravity was true as far as it was possible to make observations/measurements at that time. But certain things could not be predicted in Newton's laws, which led to a long search (and much failure) and eventually Einstein's relativity theory - a refinement of Newton. It lets us make more and better predictions that conform to the observable results of experiment. Mathematics has theorems. Physics has theories. Not the same. Mathematical theorems are true, false, unknown, or indeterminate. Physics has theories that conform to observation or they are either rejected or refined. On the other hand, physics gives mathematicians something to abstract over and mathematics gives physicists tools to aid their observations (especially their measurements). This, prof. dr. charlie_grumbles, was beautiful. I have long sought words to concisely describe the distinction between science and mathematics, and at long last I find them here. Thank you. I really liked this description too! I teach maths, physics, computer science and French at upper secondary level and if a student in one of the advanced maths courses asks the standard question "but what do we use it for", my favourite answer is "you know that maths has nothing to do with reality?". Then of course the physics teacher part of me kicks in and offers some practical applications, or I show how vector equations can be used to easily solve puzzles in Assassins' Creed. Footnotes as a service to linguistics geeks. I hope I have used numbers without a standardized meaning. 1814: Masculin: "En herre" = "A lord", "herren" = "the lord". Feminin: "en jente" OR "ei jente" (choose freely, I prefer the first) = "a girl", "jenta" = "the girl". Neuter: "Et tre" = "a tree", "treet" = "the tree". 1905: And suddenly we use the indefinite form, it's the adjective that causes it. lmjb1964 wrote: And my joy was like the sea and not the river. Another Fill In. What happened between the frames of time. 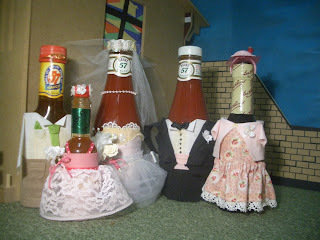 BlitzGirl wrote: Oh yeah, my wedding ketchup! It was actually a very clever design, the red button. It was a decoy that appeared to do something, but instead disguised the fact that it did something else by appearing to do nothing when it was called into action by being turned off. The Pope understood this contradiction almost instantly, but HAL, not cottoning to religion, did not. HAL would play the game, and the Pope would play along, but they were playing different games.The BlitzRocket began its preparations for landing, but they were in fact going much too fast. It shuddered as the landing pads were extended and were ripped off in the rushing wind. "We're going to come in short", said the Second Scribe, as the controls started responding sluggishly to the control glove. Short would be bad - it would mean landing at the bottom of a waterfall whose output was best measured in lakes per second. HAL was not going to let this moment go to waste. Professor, one of our scouts has found the unaccounted tribe. They are currently at a safe area south from here. Farrah slowly raised her head from the huge book she was reading. She looked very tired, the preparations for the oncoming flood having burned her out. Her voice was faint, almost inaudible. Farrah wrote: Thank you, Amtoo. That's good news. Amtoo could have turned back and gone to his own matters, but he could see something else was concerning Farrah. And she knew he could see it. Farrah wrote: Do you know why our parents singled us out? She motioned for him to come closer and turned the book she was reading. Amtoo wrote: And isn't that what we have been doing all this time? His voice was beautifully calm, as if trying to comfort Farrah. Farrah wrote: And we almost failed at it too! The tone of her voice, containing a mixture of sadness, anger and fear, frightened Amtoo. He had never seen her like that before. His voice contained the confidence Farrah was struggling to find. Her right hand was now between his. After thinking for a few seconds, Farrah realized Amtoo was right. As always. And their faces were now disturbingly close to each other. The room's climate had suddenly become more intimate. But before anything else could happen, a bald, pale guy carrying a suitcase entered the room. That meant bad news. It always meant. Deep into Farrah's mind, all that conversation sparked a lost memory. A memory a normal human wouldn't be capable of possessing, but which their parents deemed to be of utmost importance. A memory transferred from parent to child for generations. And then, I found 7terful original poetry by BlitzGirl, treeish ottifications by jeffallen55, Hel-G, and Eternal Density, two OTThercomics4 by HES and Eternal Density, and a nice OTColourification by jjjdavidson. Thank all y'all, and also everyone I might have forgotten to mention - but I read and enjoyed it all! Oh, and this goes out to Eternal Density and jjjdavidson, on condition that they share it proportionally! 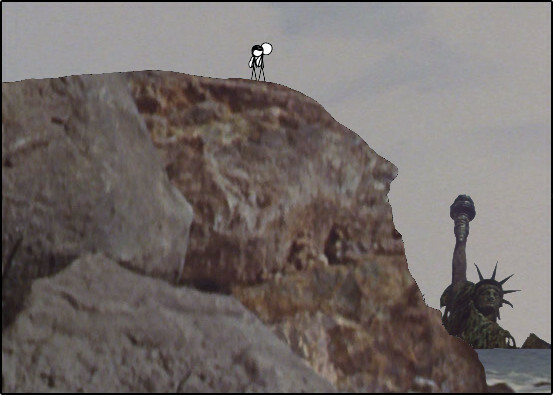 Why there was no moon in the Long Night. What opened the Straits of Gibraltar? Last edited by buffygirl on Fri Aug 02, 2013 12:38 am UTC, edited 1 time in total.